From the surprise start to the season, with planned overseas batsman Cameron Bancroft caught up in arguably the biggest cricket controversy since the Pakistan spot-fixing scandal, Somerset have come a long way. Bancroft’s late replacement Matt Renshaw was a masterstroke, making Somerset fans see Bancroft’s use of sandpaper as a blessing in disguise for their side’s fortunes. Smashing 100 before lunch against perennial champions Yorkshire best showed his attacking intent during his stay. The ton came up off just 86 balls, Renshaw smashing sixes to get off the mark and then another to reach his half-century, and again to take him to three figures is some feat for which he will go down in Somerset folklore. Renshaw and James Hildreth glued Somerset’s batting together for much of the opening half of the season. When Renshaw returned Down Under (just one game prematurely, due to injury) Hildreth came even further into his element, notching 1930 runs this season and yet somehow still not earning an England call-up or even a place in the PCA Team of the Year. Somerset’s young crop of seamers impressed throughout, Lewis Gregory being the most talismanic a T20 captain could be. Craig and Jamie Overton both benefited from staying fit for most of the season, culminating in joint England Lions call-ups alongside recent test-cap Dom Bess. Josh Davey also impressed this summer, meaning new signing Jack Brooks may not be an automatic shoo-in to the Somerset red-ball side come next April. Jack Leach showed real character to come back from that dog-ball-thrower inflicted injury just prior to the summer tests, return to taking Championship wickets and consequently be selected for the England test squad travelling to Sri Lanka next month. Installation of floodlights in the off-season should get Taunton prepared for the staging of three matches during the ICC Cricket World Cup next year (one a day-nighter), ideally without ruining the country feel of the Tone-side setting. Purely white-ball wise it has to be Lewis Gregory for leading from the front with bat and ball, but yet again James Hildreth has to scoop the overall prize for his consistent run-making in all-forms. Not just Somerset fans, but followers of County Cricket across the globe are tiring at voicing their dismay at another England squad announced without the presence of the most consistent County run-scorer of the last decade. The picking of Joe Denly arguably made Hildreth feel more hard-done by: to see another 30+year-old batsman picked ahead of him. Maybe it’s simply that Denly bowls decent spin, which could be useful in Sri Lanka. This may seem a rather odd one: Tom Abell originally broke through as a solid opening bat a few years ago, but this season has broken-through as a genuine all-rounder, bowling faster medium-pace, including a couple 3-fers and a hattrick in the County Championship. He’s also broken through the barrier of scoring quickly in white-ball cricket without having the power or aggressive shots the likes of Pete Trego possess. Encapsulated by the 48 he scored in an almost completely different style to his partner Corey Anderson at Finals Day, this partnership kept Somerset in it until Abell was unluckily run out backing up at the non-striker’s end. 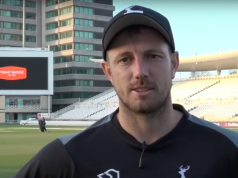 Somerset have still never recovered from the loss of the two best white ball wicket-keeper batsman in Jos Buttler and Craig Kieswetter all those years ago. Having tried Alex Barrow (now just of Exeter CC) and Ryan Davies (now of Durham CCC), ex Surrey and England limited overs opener Steve Davies has not yet come close to filling the void. He had a better season this year than last, but still frustrates many who saw him score so many runs for Surrey in previous years. 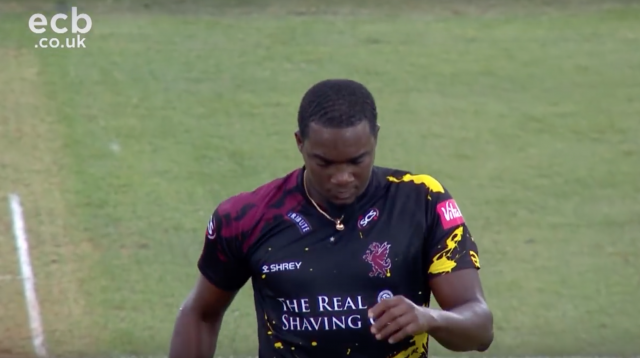 Davies only retained his place in the T20 Vitality Blast side, after being understandably dropped, as Banton sustained an injury after just one match-that Myburgh-inspired 10-wicket win over Essex. Try and secure an opening partner for Marcus Trescothick for the Championship. Ideally get a year under his belt as surely even Trescothick won’t keep being able to sign an additional one-year contract into his 40s. The Bs of Byrom and Banton have been tried and Bartlett at three, but none have done enough to nail their name to the number two spot. Tom Abell looked a future England hope when opening a few years back, maybe he could have another go opening up and one of the aforementioned younger dynamic batsmen could be trialled in the middle-order to bat after James Hildreth. A disappointing RLODC campaign was put behind Somerset by a stellar Championship campaign that only derailed slightly with that incredible Lancashire ‘loss’ (which was actually a tie, but the home side lost two wickets with the scores level) and Hampshire win in early September. 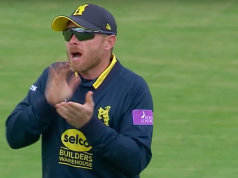 A march to another runners-up spot, this time in the T20 Blast, excited many with scintillating cricket being played throughout the group stage, but a poor bowling performance let them down against Sussex on Finals Day. No doubt there’s frustration at being “nearly men” yet again, but that they are disappointed with two second place finishes shows Somerset’s high expectations.